Inside Opera: Live, four hours of live-streaming, will see seven of the UK's opera companies join forces to offer unprecedented behind the scenes access on 10 May. The number of participating organizations means that the event is a first for the arts, with English National Opera, English Touring Opera, Northern Ireland Opera, Opera North, The Royal Opera, Scottish Opera and Welsh National Opera coming together to celebrate the art form as part of the annual European Opera Days weekend. The event is particularly designed to reach anyone who is new to opera. The day will be hosted from the Grand Theatre in Leeds as Opera North prepares for performances of Puccini's La bohème. The packed afternoon will feature behind-the-scenes footage from all participating companies, live interviews with singers and directors, live links to rehearsals and community-based activities. 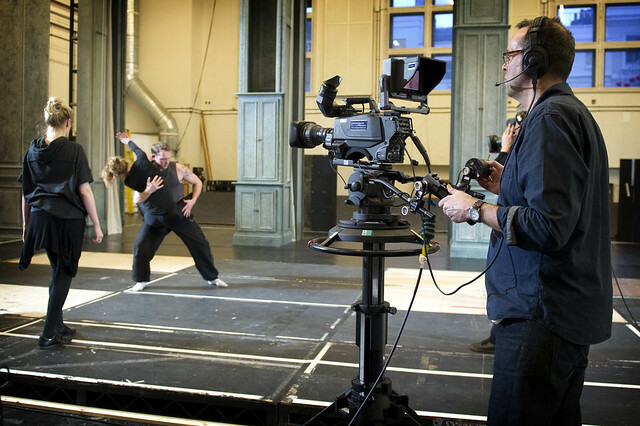 Inside Opera: Live will be streamed on YouTube from 14:00-18:00 BST on 10 May 2014. I hope this isn't too idiotic a question... How are you and the other participating houses proposing to ensure that your target audience of "anyone who is new to opera" finds out it's happening in the first place? We'll be promoting the event via social media/YouTube and press local to the various companies. I'm sure there'll be plenty to interest those who are already opera fans, but we're keen that the event be as accessible as possible for those new to the art form. sounds fantastic am i correct in assuming that it will be available on the roh's you tube channel? also, if one is unable to view it on the 10th will it available on-demand? It will indeed be available on our YouTube channel, and the whole four hours will be made available for 48 hours after the event. Following that, we will be uploading highlights from the day.